Whether streamlining offices for busy professionals, helping families transform homes, coaching executives to increased productivity, or assisting individuals facing challenging disorganization, Tonia Tomlin has enhanced thousands of lives across the country. Tonia understands each individual faces unique challenges. She realizes how stressful and overwhelming keeping up with everything can feel in today’s always-on 24/7 world. But help is on the way! 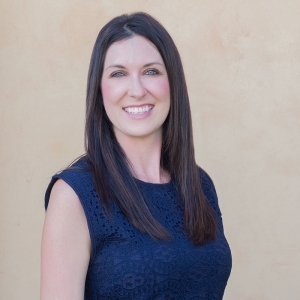 Through Tonia’s personalized, supportive approach, she teams with you to develop the peaceful, serene business and home lifestyle you dream about. Tonia assesses your specific situation, goals and needs to tailor immediate and long-lasting solutions. She gives you expert, nonjudgmental guidance and tips. Using her innovative proprietary systems, she provides caring, comprehensive service―from initial consultation to organizational maintenance to backsliding prevention―so you get the best, most effective structures for you. Tonia’s appreciation for the beauty of order blossomed while growing up in a structured household in Wyoming with daily routines. From the age of five, she showed a passion for organizing—even creating folders for her kindergarten papers and then carrying that tradition through high school! She continued to hone her detail-oriented skills in a successful career in the mortgage industry as a Senior Loan Officer for Chase Manhattan in Michigan and Texas. Operating the Subprime Lending Group of Texas, Tonia managed a myriad of details working with more than 100 loan officers in the Houston and Dallas areas. Tonia’s desire to use her organizational gifts and skills to help others increased. In 2004, she turned her passion into a reality and committed to her professional organizing career full time. Even Tonia’s hobbies incorporate orderliness and organization. She loves to scrapbook and handcraft greeting cards. She enjoys exploring the world through travel and routinely exercising with yoga and Pilates. 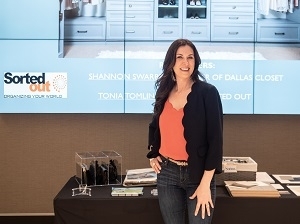 As founder and President of Sorted Out, Tonia leads an accomplished, dedicated team of professional organizers. Continuing the company standards of excellence, she personally selects and trains each team member. A longtime member of the National Association of Professional Organizers (NAPO), she serves on the National Marketing Committee. She previously served on the National Board of NAPO and as the 2005 Vice President for the Dallas/Fort Worth Chapter. Tonia is also active in the Institute for Challenging Disorganization (ICD) and holds the Social Media Chair position. Through the ICD, she has completed Level 1 and 2 Certification in Chronic Disorganization and Level 1 and 2 Certification in ADHD/ADD. She is an active member of the Collin County community, Prestonwood Networking Group and Findmyorganizer.com. A sought-after speaker, author and writer, Tonia has been singled out in local, regional and national media for her innovative work, stylish organization skills and detailed attention to her clients. She has been featured on HGTV’s Mission Organization in 2005 and on Martha Stewart Fine Living Network Smart Tips segments 2008-2009. Tonia’s Dallas/Fort Worth area television appearances include: Good Morning Texas (WFAA, ABC Channel 8) KTVT News (CBS, Channel 11) and Fox 4 News (KDFW). She has also been featured in numerous publications such as: Parents magazine and Texas Family magazine. Tonia published her first book in 2008, Chaos 2 Calm, The Moms Of Multiples’ Guide To An Organized Family, which was inspired by her twin daughters. Tonia and her husband Adam, twin girls Peyton and Sydney (13) and son Lucas (4) live in their happily tidy home in Lucas, Texas.